Dave and I met online. I have known a few couples now that have met this way and highly recommend it. Mostly it was pretty great. I did copious amounts of research beforehand and tested as many things as I could and I loved the planning process. As they say the small hiccups on the day really are insignificant and trust me you won’t care on the day. Our Ceremony was very special and was absolutely perfect. I loved getting ready with the bridesmaids and having photos with just Dave and I after all the commotion. It was really relaxing and nice to have a minute to ourselves. Dave and I felt so comfortable with Photographic Art at our pre-wedding meetings and of course at our wedding. Apart from creating some of the most beautiful photographs I’ve ever seen (and that says a lot as I am in them) they are both so friendly, patient and calming which is so very important to have on your wedding day. We felt so at ease which I truly believe helped to get the best out of us and our bridal party. 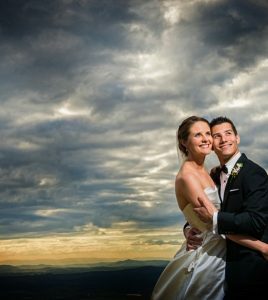 I was so nervous planning the wedding but knew that I had struck gold when we were recommended Photographic Art. When people ask me about the day I always want to show them my amazing photos. Dave and I watched the video a friend filmed of the wedding and we are now even more impressed with the photos you both took as those moments went so quickly yet you still captured those moments that happened in a split second. When reflecting on the day there are small changes I would have made as far as other supplies go but, as far as our photographers go, I couldn’t fault you in anyway. So thank you from the bottom of our hearts for the best treasured memories we could have hoped for. Wedding Stationery: Dave’s mum created absolutely everything from chocolate boxes, name cards, invites, thank you cards, table plans and cake boxes. She is one amazing mother in-law. Wedding Ceremony Venue: The Historic Rivermill. It was the most perfect, private and picturesque setting we were looking for. 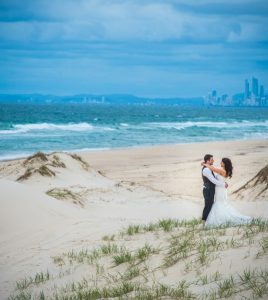 Wedding Celebrant: Wendy Marshall – This woman is so amazing at her job. Our guests thought she must have been a friend the way our ceremony was written. So personal and beautifully created and her words were so perfectly picked. She made us feel so relaxed and she also wrote a little ceremony to incorporate my mum that had passed away which I will remember forever. Wedding Music: Signature Music Duo : This band was fantastic!!! Very professional and they really get everyone up and dancing. They are both so talented and I thought they were pretty reasonably priced. They were happy to cater to any requests. Wedding Reception Venue: The Historic Rivermill : Kathy the wedding co-ordinator is so professional, helpful and so obliging to any requests. On the day there were a few small issues such as a red carpet which I specifically asked to not be there, a missing dish of moreton bay bugs in the buffet and dessert came out and the bride didn’t know and missed out on eating any!! The food was pretty spectacular and the drinks are reasonably priced. Lots of seating area for guests while you are off getting photos taken and the surroundings are just beautiful. Wedding Styling: Between my bridesmaids, myself and the mother in-law we did everything ourselves. Ebay was fantastic for buying bits and pieces. Eufloria helped with the flower centrepieces and they looked amazing. Dave’s mum and dad painted our table numbers and the wooden sign with our names on it that we purchased on Ebay. If Dave’s mum had a craft business I bet she would be busy as all these elements were perfect. We had a candy buffet which two of my friends set up for me. We brought all the candy jars from stacks and brought the colour co-ordinated lollies from Tom’s confectionary warehouse in Brisbane. This place is definately worth a visit. I made my own guest book by creating a photo book. Each guest had a page with their photo on it with room to write a message. We also had a few photos of us over the years spread on the first two pages. Everyone loved this idea and now I have a personalised albumn with all the special people in my life. It took a long time to create but it was worth it. Wedding Flowers: Eufloria Florist were amazing. Nyree emailed me about a million times over the course of 12 months as we discussed many details and changed flowers as we went along. She was so helpful and accomodating. I felt as though I was talking to a good friend instead of a business. Their bridal planning room is really beautiful. All I knew is that I wanted purple flowers and they suggested lissianthus which looked so incredible. I am so glad I chose flowers that stood out and didn’t just blend in. Wedding Cake: Linda Evetts from Little Sprinkles Bakery, was our cake creator and it was everything I had asked for. Plan and simple and delicious. Eufloria created the cascading flowers on the cake which I loved. We had so many comments about how fantastic the cake looked and tasted from our guests. We had three different flavours: chocolate, fruit cake and white chocolate raspberry and coconut. This was the best fruit cake I have ever had!! The raspberry chocolate cake was so incredible and my sister liked it so much we are getting it for her 40th birthday. This is the only wedding cake where I have liked the fondant. Linda uses fondant of a high quality and bakes her cakes fresh and doesn’t it make a difference! Also very reasonably priced, professional and reliable. Bridal Gown: Luv Bridal. I knew it was the one when I found it. Groom and Groomsmen Suits: Roger David. We got a good deal buying six and they looked great! Wedding Shoes and Accessories: I brought the girls jewelery from a party plan and now can’t remember the company but it was beautiful. I got mine from Colette. I looked for so long to find earrings I liked! Natalie Hoult has been my hairdresser for awhile and she is the most amazing hairdresser I have ever had. She’s professional and reliable which I think are such important qualities to have when planning your wedding. The hair was incredible. Only two of us had trials but Nat was able to give the girls exactly what they asked for on the day. She did 9 hairstyles on the day with plenty of time to spare and the hair held ALL DAY!!! My hair was perfect. Honeymoon: We went to Singapore, Koh Samui, Phuket, Phi Phi Island and Hong Kong and had the best time. Koh Samui (the Chaweng Regent Hotel) is our hot tip.